We are re-branding our sports training program. Starting May 12th, FITLIFE Performance Training will be running our new and improved Athletic Development Program. 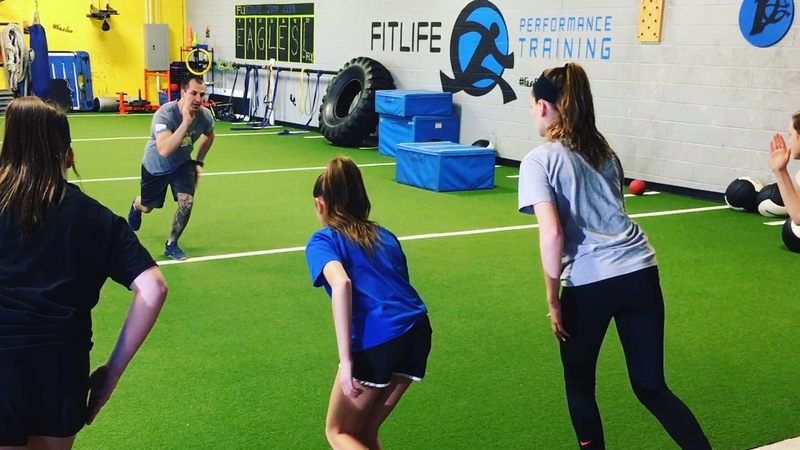 Each training session at FITLIFE is an hour and includes soft tissue work, movement preparation and neural activation, dynamic warm-up, corrective activities, linear and lateral speed development, and biomechanical drills to address movement efficiency. The second half of the session is devoted to power and explosive development using plyometrics, functional strength training, core strengthening and other activities to help each athlete reach their goals. These are athletes who have established basic athletic motor skills and are ready to progress into entry level strength training. 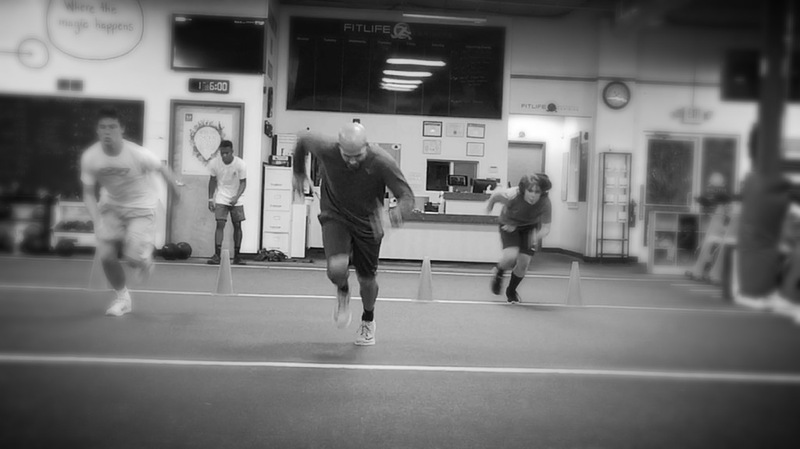 This stage focuses on improving speed, strength, and agility while also teaching proper jumping techniques, reducing risk of injury, and enhancing the athlete’s self-confidence. This is for our long term athletic development model. These athletes have some training background, have more advanced athletic motor skills, and can tolerate more intense training sessions. 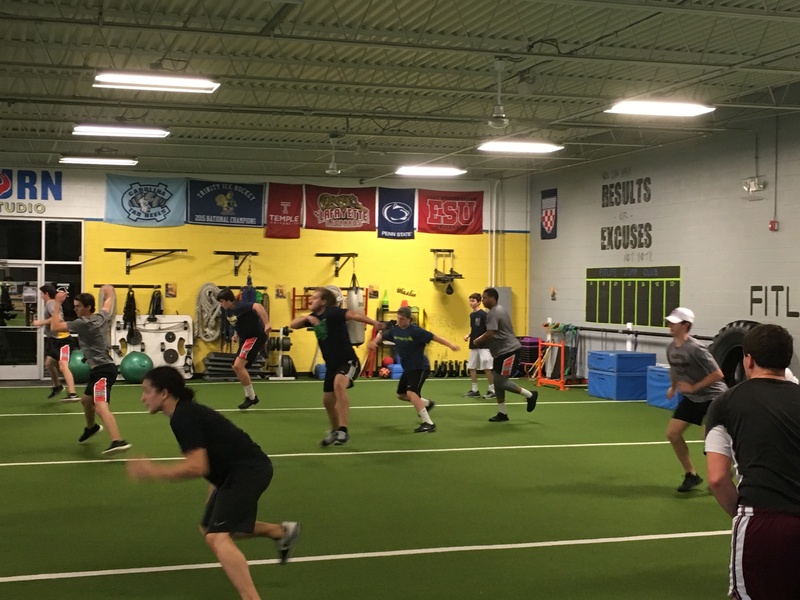 Their program also addresses improving speed, strength, and agility while emphasizing advanced power development, reducing risk of injury, and enhancing the athlete’s self-confidence and leadership abilities. These sessions are 90 minutes in length and are more intense. They include soft tissue work, movement preparation and neural activation, dynamic warm-up, corrective activities, linear and lateral speed development, and biomechanical drills to address movement efficiency. The second half of the session is devoted to power and explosive development using plyometrics, and maximum strength training. – We understand that quality athletic development coaching and our long term philosophies may still be somewhat new idea in this area, so we offer a free trial session for any athlete. You have nothing to lose and can experience our training system for yourself. After the trial session and performance evaluation, our six to twelve month memberships are devoted specifically to this long term training philosophy and you can choose between one, two, three, and four training sessions per week. – Although the most ideal way to develop highly successful athletes is through a long-term training approach, we realize this model does not fit for everyone, so we offer short-term block training options that still incorporate the above training philosophies. Each block parallels the high school sports seasons (see dates below). Block training still includes a full evaluation prior to training and adheres to the above training philosophies and program design. This entry was posted in Blog, Uncategorized on April 19, 2018 by Joe Hos. Are You Up for the 28 Day Transformation Challenge? Is this the right diet/nutritional plan for me? My kid needs better Endurance… can you help?